C.R. Jackson was awarded a Design-Build Project with the SCDOT that includes 13 roadway intersections located in 6 counties in SCDOT Districts 1 & 7. The C.R. Jackson Team will provide a turn-key project from a conceptual sketch to a finished product that will enhance safety to the traveling public. 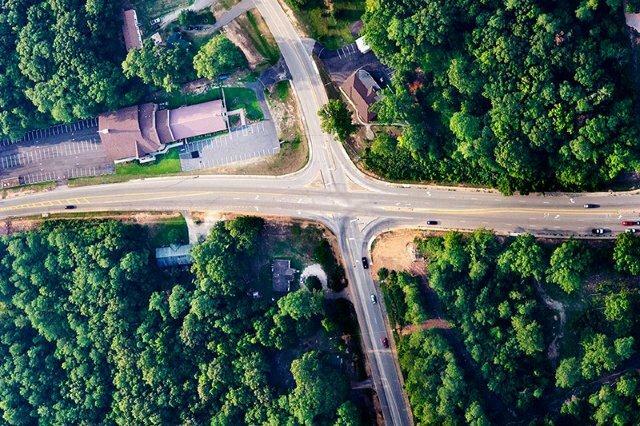 Our responsibilities include: roadway design, obtaining Right-of-Way, utility coordination, public relations, surveying and roadway construction. The intent of the project is to implement geometric safety improvements to all 13 roadway intersections. This will be accomplished by adding/lengthening turning lanes, placement of concrete island channelization, roadway realignment and/or reconstruction, traffic signals, signing and pavement marking improvements and installing one Urban Multiple Roundabout and three Urban Single Roundabouts. 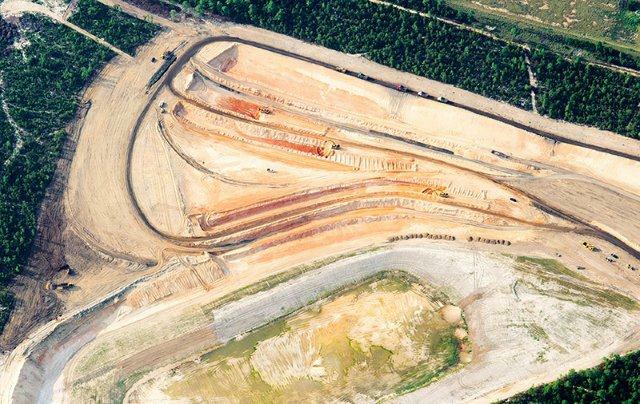 The Tom's Creek land clearing and grading project was 192 acre site designed to export 4,500,000 CY of fill material to serve the greater Columbia market. C.R. Jackson oversaw the preliminary grading and roadway construction to satisfy Lexington County and South Carolina DHEC regulations in the winter of 2011. Crews are currently exporting the material and following MSHA standards for the non-metallic mineral mining. C.R. Jackson is currently completing this land clearing & grading and asphalt paving project for the SCDOT, City of Columbia, and a private owner. 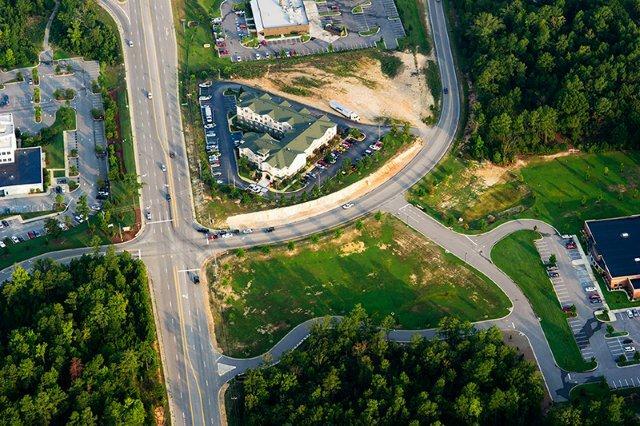 The project consisted of the realignment of the Parkridge Drive and Lake Murray Boulevard (SC Hwy. 60) intersection to facilitate the construction of a new medical facility. I-20 Eastbound: The 9.5 miles of rehabilitation work was high in complexity and was constructed using the SC-M-400 specifications. The scope of this land clearing, grading and asphalt paving work consisted of milling, cross-slope design, cross-slope paving, structure strength paving, wearing surface paving, erosion control, traffic control, drainage adjustments, electrical loops and sensors, shoulder stabilization, guardrail rehabilitation, and median barrier wall extension. Field conditions and proposed plans were closely monitored to avoid future issues due to bridge height restrictions, milling over existing concrete roadbed, and the existence of the concrete median barrier wall. 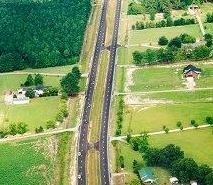 I-20 Westbound: Similar in scope with the same land clearing and asphalt paving challenges as the I-20 Eastbound project. C.R. Jackson worked closely with SCDOT to resolve many concurrent issues in order to complete two very successful projects. C.R. Jackson received the National Asphalt Pavement Association Quality in Construction Award for this project. C.R. Jackson was contracted by the SCDOT to widen 2.72 miles of Highway 378 in Clarendon County. The existing roadway is a multi-lane divided highway that required 2’ of shoulder asphalt paving on the inside and outside lanes. C.R. Jackson, Inc. completed this project in 2009. Our responsibilities for the 17 miles of rehabilitation included asphalt milling, traffic control, erosion control, survey and design (to rehabilitate the existing cross-slope to the new standard), concrete patching, guardrail, cross-slope correction paving, structure strength paving, riding/wear surface paving, and shoulder stabilization. The typical section for this project required us to change the cross-slope from an existing 96:1 to 48:1 using asphalt. This project was one of the first to fall under the new SC-M-400V specifications. C.R. 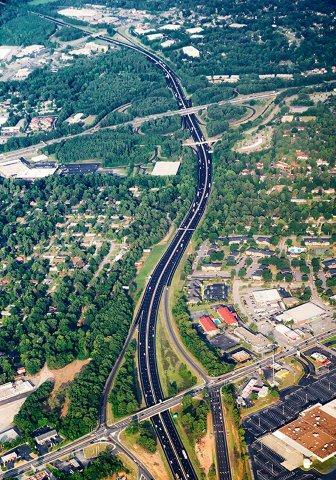 Jackson, Inc. is currently working on this 26 mile interstate rehabilitation project. The scope of work includes: variable concrete milling, concrete patching, cross-slope design, cross-slope asphalt paving, structure strengthening asphalt paving, wear surface asphalt paving, traffic control, erosion control, bridge deck sealing, concrete joint sealing, and shoulder stabilization. 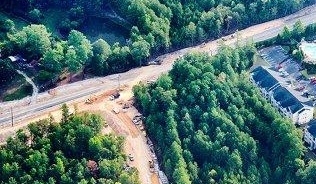 The scope of work on the 20 miles of interstate rehabilitation includes: asphalt milling, cross-slope design, cross-slope paving, structure strength paving, wear surface paving, drainage adjustments, traffic control, guardrail rehabilitation, shoulder stabilization, high friction surface course, erosion control, and clearing. Similar to the I-20 interstate rehabilitation projects, this project has an existing median barrier wall that requires much foresight to construct the proper cross-slope.